The use of knee braces in sports medicine is a controversial topic. Knee braces are used for a wide variety of problems and conditions. But do knee braces help? Functional knee braces are designed to substitute for damaged ligaments. For example, a patient who sustains an ACL tear may be offered a knee brace to wear in efforts to allow certain activities without surgery. Most patients who are concerned about knee braces already have a ligament injury. These patients may be interested in the functional knee braces. These functional knee braces are designed to compensate for a torn knee ligament. Functional knee braces are not as effective as normal knee ligaments. However, the functional knee braces may help in patients who have a ligament injury. There have been a number of studies to investigate the effectiveness of these knee braces. The summary of these studies is that functional knee braces provide some protection to the knee at low loads. This means that when a force is applied to a knee that is supported with a functional knee brace, it is more stable than without the brace. The forces that are applied in these studies are thought to be much lower and more slowly applied than forces applied to the knee during competitive athletics. When a knee injury occurs during high-level sports, the knee is subjected to very high forces that occur very quickly. Unfortunately, testing these braces under these unique conditions is difficult. It is difficult to prove if functional knee braces are of much help under these unique conditions. Should Functional Braces Be Worn? What is known, it that physical therapy, including strengthening, is an important factor in returning to sports following a ligament injury. Therapy and rehabilitation are by far more important than a knee brace. Knee braces may help prevent re-injury to the knee, but it is likely a small factor if any at all. Prophylactic knee braces are designed to prevent knee injuries in healthy athletes. These knee braces were popularized in the late 1970s when the use of prophylactic knee braces was tested in NFL players. 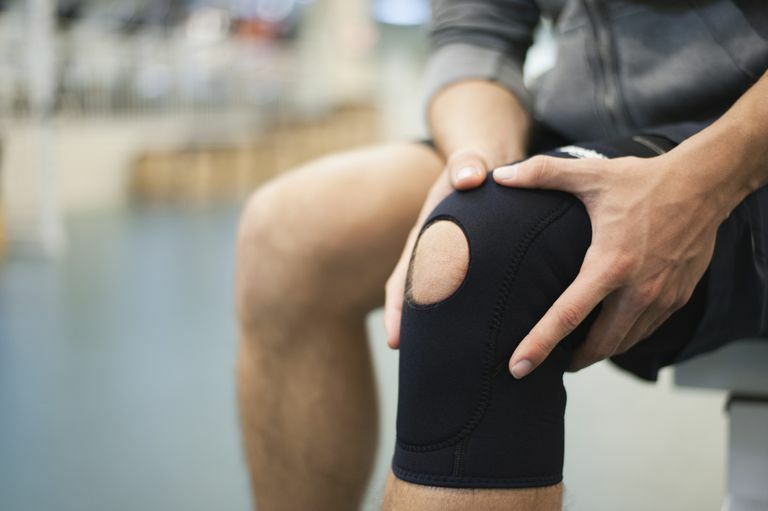 Since that time, several studies have investigated the injury rates in athletes who wear prophylactic knee braces versus those who don't wear a knee brace. There was some concern that knee braces could alter the forces on the knee such that prophylactic knee braces could prove problematic. However, knee braces, when properly fitted and worn, have not been shown to increase injury rates. They are probably safe to wear and have not been shown to increase rates of knee or ankle injuries. The knee braces that are investigated in these studies are not simple knee sleeves or knee braces that can be purchased at a drug store. These knee braces need to be special ordered and prescribed by your physician. If you are interested in using a knee brace for competitive sports, you should contact your team doctor or your orthopedic surgeon. Your doctor can prescribe the proper type of knee brace for you and your sport. Furthermore, any effective knee brace must fit properly. Once you have a knee brace, ensure that your doctor inspects the fit of the knee brace to ensure it is sized and placed properly. Should You Wear a Knee Brace After ACL Surgery? Should Your Wear a Bledsoe Brace After ACL Surgery?